Saturday and Sunday from 11 a.m. - 3 p.m.
Napa Valley Grille is dedicated to tailoring the perfect group dining event to suit your needs. Daily starting at 3 p.m.
West Coast wine country combined with seasonal ingredients. 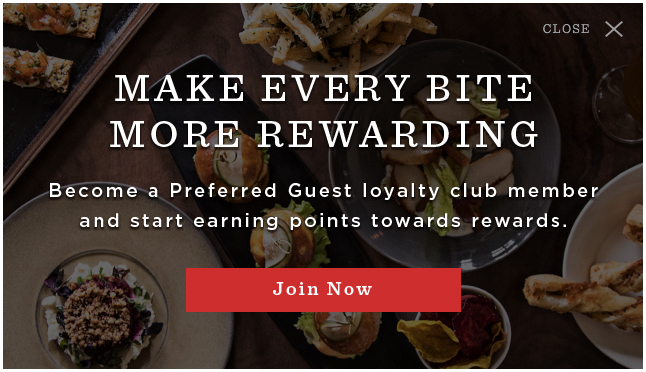 Sign up for our Preferred Guest loyalty club and earn points towards rewards every time you dine at Napa Valley Grille or any Tavistock Restaurant Collection location. Plus, receive special offers, event invitations and membership benefits thought the year.